Oregon's check-out aisles are inching forward — toward a future free of single-use plastic bags. Retailers in Portland, Salem, Hillsboro, Lake Oswego, Milwaukie, Forest Grove, McMinnville, Bend, Eugene and Corvallis are already prohibited from handing out such plastic bags, which are cheap to manufacture, easy to toss… and stick around in landfills for up to 1,000 years. Some state lawmakers want to nudge the rest of the state in the same direction, and they're one step closer after their legislative proposal moved out of the House Energy and Environment Committee on Thursday, April 4. Environmentalists greeted the news with cheers. "Nothing we use for 10 minutes should be allowed to pollute our environment for hundreds of years," said Environment Oregon director Celeste Meiffren-Swango. "Single-use plastics inevitably end up in our waterways and on our beaches, and this pollution is damaging our ecosystems and endangering public health." House Bill 2509, also known as the Sustainable Shopping Initiative, would ban single-use plastic bags in many circumstances, though it wouldn't touch take-out food bags at restaurants and bars. But grocery stores and convenience marts would be essentially prohibited from distributing the thin plastic bags — except for the sale of fresh meat or seafood packed in ice, or when a store pharmacy sells a product with "protected health information or other confidential information." The bill would allow retailers to provide recyclable paper bags for free, or at a cost of 10 cents or more. Oregon would only be the second state in the nation (after California) to ban plastic bags if the bill becomes law, though Washington state legislators are considering a similar proposal this session. 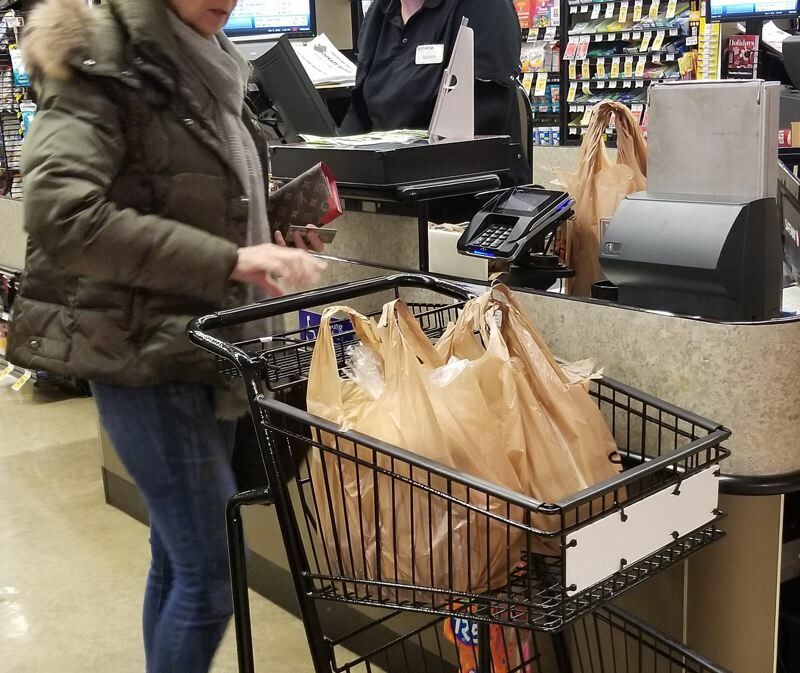 Beaverton officials are still mulling a plastic bag ban, while the Troutdale City Council ultimately decided not to implement an embargo last year. Another bill up for consideration by local lawmakers would ban polystyrene foam takeout containers and cups. That idea, House Bill 2883, is scheduled for a work session on Tuesday, April 9. Oregon's ban on offshore drilling for oil or gas is officially state law, after Gov. 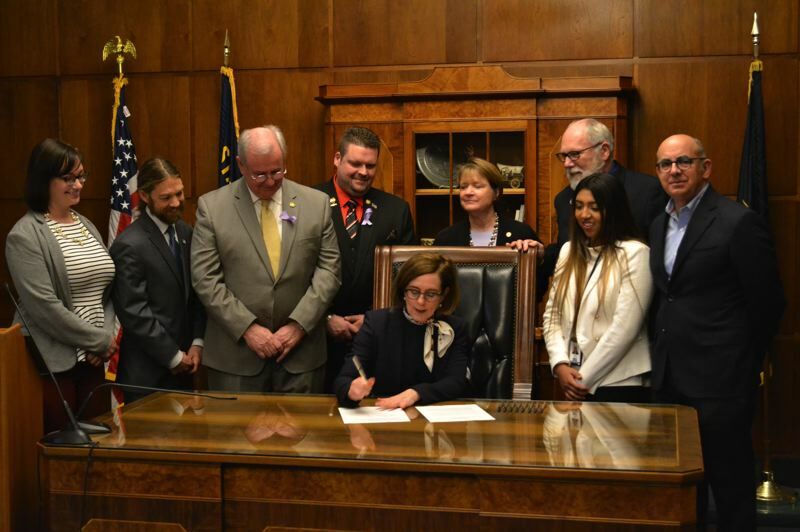 Kate Brown signed the legislative prohibition in late March. "Even though the Oregon coast runs along the western edge of the state, the coast and our coastal communities are truly central to Oregonians' identity," Gov. Brown said Wednesday, March 27, while flanked by supportive legislators and environmental leaders. While there is no drilling happening off Oregon's coast at this time, the federal government is preparing a lease sale for drillers in the outer continental shelf in 2021. Oregon's newly-enshrined ban only affects the first three miles of water off the coastline. Federal control of the next 197 miles of watery territory didn't dampen Brown's spirits. She continued: "We have a lot more work to do this session to make sure that Oregon's lands and waters remain safe from the chaos on the federal level, and that we continue to drive — without fossil fuels, of course — our own environmental future."